I have another Argentium Silver band for sale in a US size 9. Hammered texture. Available in my shop on Etsy for US$25 HERE. Argentium Sterling silver is a modern sterling silver alloy which modifies the traditional alloy (92.5% silver + 7.5% copper) by replacing some of the copper with the metalloid germanium. 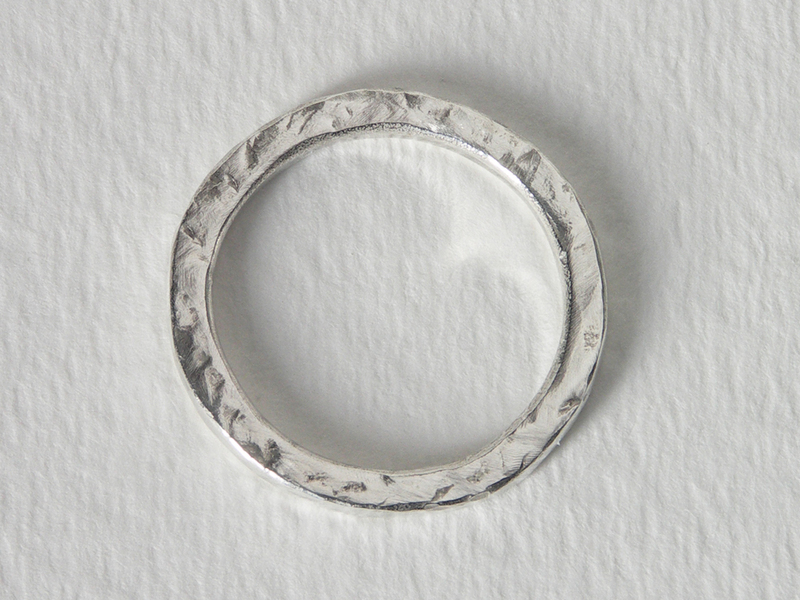 As it contains at least 92.5% silver content of the traditional alloy, it is still referred to as sterling silver. 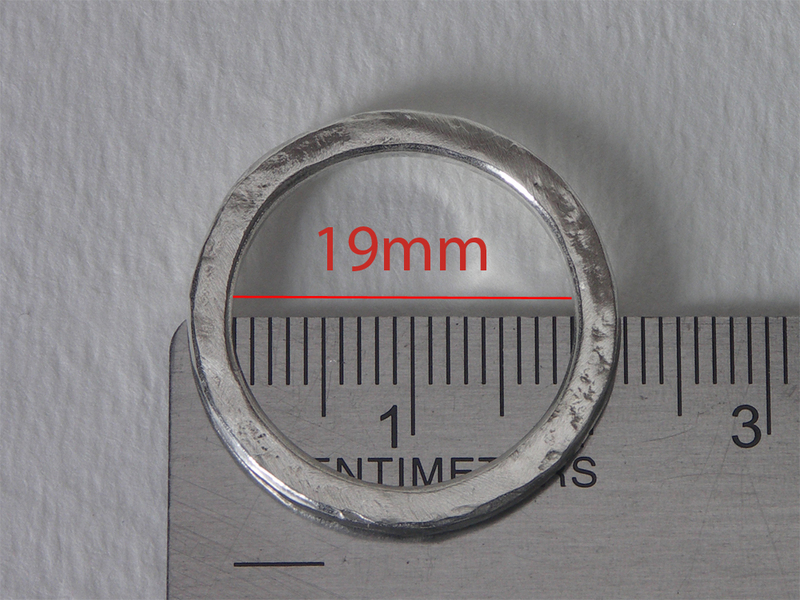 High tarnish resistance……Tarnish resistance is of significant importance to both silver workers and the wearer of silver jewellery.